"Glass Mask" is a Japanese anime series that is currently fifty-one episodes and ongoing that is directed by Mamoru Hamatsu and produced by TMS Entertainment. The series had made its original run since April 5, 2005. However, this is the second remake of the series. The first anime series ran from April 9, 1984 until September 27, 1984 with Gisaburo Sugii as the director. 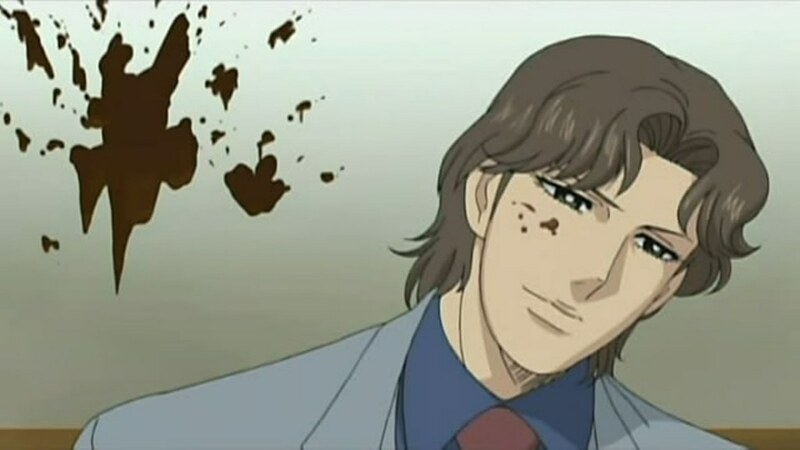 In 1998, it was adapted into a three episode original video animation (OVA). 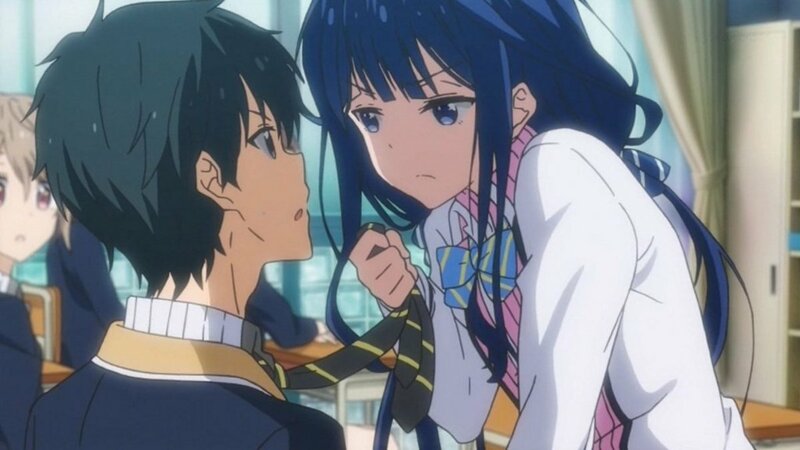 However, like many anime series, they are all adapted from a manga. 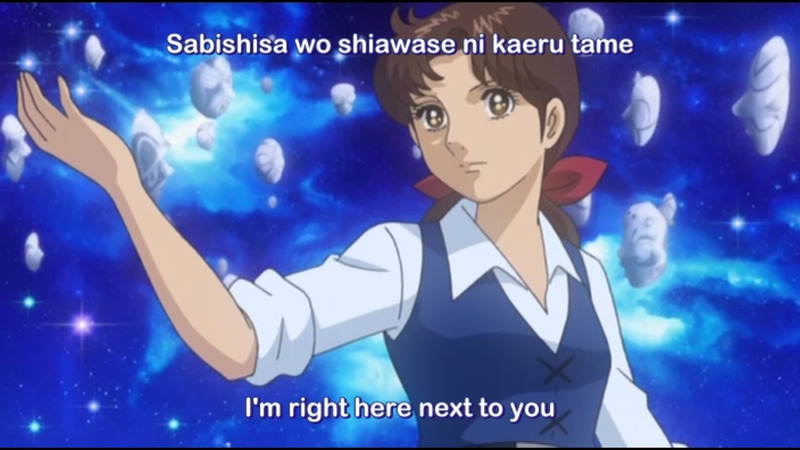 This is a romance and drama themed anime that is focused on the world of professional stage acting and the competition. Glass Mask is an interesting concept as it focuses on the craft of stage acting. The title comes from the poetic reference to the masks that stage performers have to put on. Anything that is familiar in the craft of theatre should be well familiar with the meaning of the glass mask. An actor puts on many masks of emotions required for the role and the scene. If the actors are distracted, the mask will shatter and "kill the magic." One thing that Glass Mask tries to show is that the stage is somewhat of a magical world separate from the stage. Also, it does a good job on giving depth on how much the main protagonist wants to become a professional stage actress. It shows the trials and tribulations along with the hard work she had to go through to pursue such a craft. 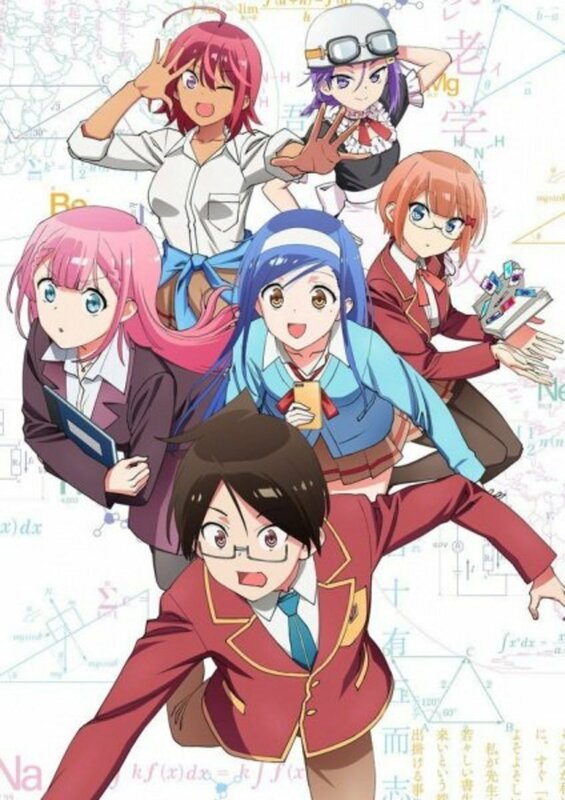 In a sense, this is an anime that all aspiring performers should check out. Most of the focus of Glass Mask is the journey of two rivals that come from different backgrounds. But, they share one thing in common: the seriousness of becoming a professional stage actress. While there is a main plot to Glass Mask, the story is a mix of being plot-driven and character-driven. There are plenty of things to take notice off in Glass Mask that set Maya Kitajima and Ayumi Himakawa apart from each other. While there is a plot, Glass Mask does give the necessary deep understanding of the difficulties of trying to get into show business let alone in Japan. 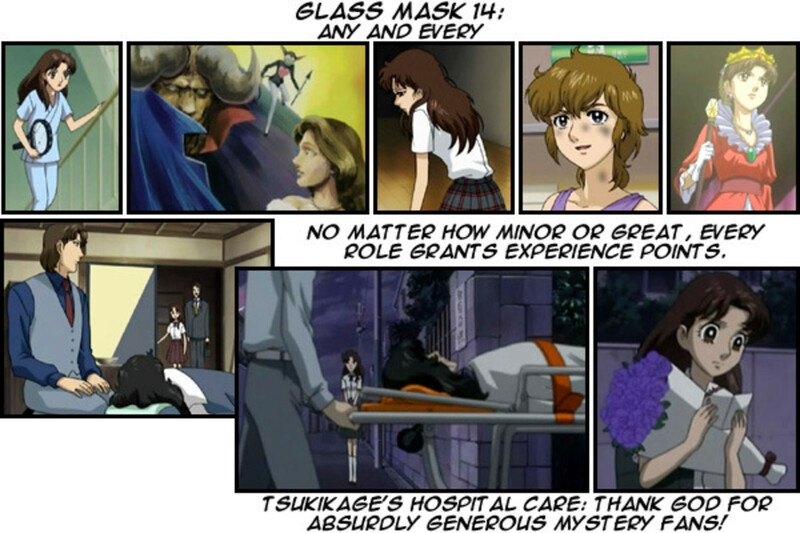 Another important aspect is that Glass Mask gives the human perspective to the characters especially with Maya and Ayumi in their own ways and machinations. There is a live drama adaptation which was produced back in 1997 called "Glass no Kamen;" however, it should be confused with the Korean drama "Glass Mask" which is a completely different story. To best sum up Glass Mask, it is similar to “The Hero's Journey” which is a known pattern of narratives given by writer and lecturer Joseph Campbell. As the story focuses on Maya Kitajima, she is the heroine of the story. There are many parallels that can be drawn between Glass Mask and The Hero's Journey. The story starts out with Maya working at a Chinese restaurant alongside her mother. Apparently, the relationship between Maya and her mother isn't that great. When people are introduced to Maya, it mirrors that of “The Ordinary World” from The Hero's Journey. Maya and her mother don't make that much money serving tables at the restaurant; that's the starting dilemma. She wants to become an actor and has the talent; but, she doesn't have the connections nor does she know where to start. Maya's immediately dealing with adversity as her mother isn't in the right sense of mind. Because of this, the mother things of Maya as being useless due to being distracted at work. She does get discovered by legendary stage actress Chigusa Tsukikage. Tsukikage takes Maya under her wing despite objections from Maya's mother. Due to the mental state, the mother doesn't think Maya has it in her. While Tsukikage nurtures Maya, the mother wants no part in this life. Thus, Maya is thrust in the world of acting which is similar to “The Call To Adventure,” “Meeting With The Mentor,” and “Crossing The Threshold” from The Hero's Journey. Despite having the natural talent, the path is rocky and thorny for Maya. She has to deal with many things such as rivals and so forth. As Maya continues to evolve as an actress, she gains the attention of her new rival Ayumi Himekawa who is already an established actress. While considered a prodigy, it was revealed that Ayumi's not a prodigy but a privileged daughter with famous and influential parents. Then, it rounds down to Maya and Ayumi evolving as they remain rivals both vying for the coveted part of the lead role in the legendary play called “Crimson Goddess” in which Tsukikage holds the rights to. It's a legendary play which needs the best actress which is between Maya and Ayumi. It's an interesting story in which Maya and Ayumi drive each other to be better in order to get the role of the Crimson Goddess. While the plot is pretty clear cut, there are interesting conflicts that put wrenches in the story such as people trying to coerce Tsukikage into giving up the rights to the play or Maya's mother trying to ruin her daughter's future in acting. But, the story focuses on the title itself “glass mask.” As a performer, one must be able to put on many different masks. As one mask breaks, a new mask is put into place. Understanding that concept plays the pivotal role in who ends up being the Crimson Goddess. 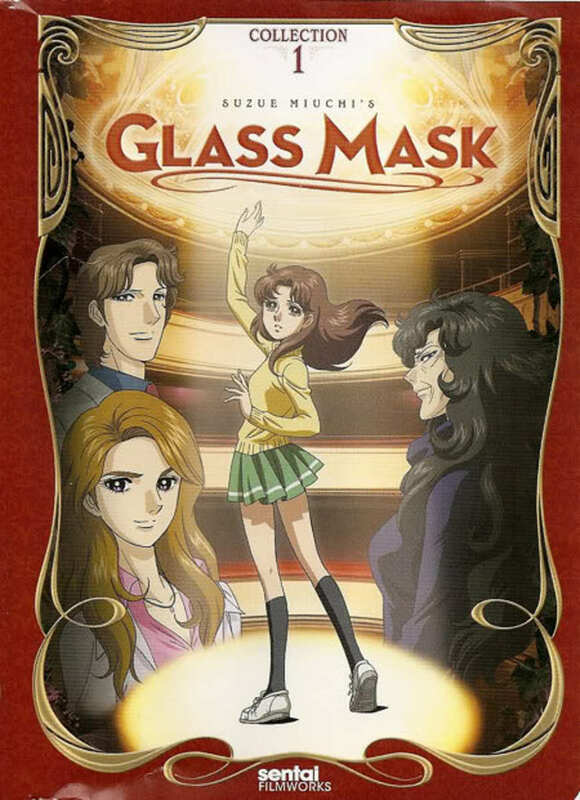 Glass Mask centralizes on these four characters: Maya Kitajima, Ayumi Himekawa, Chigusa Tsukikage, and Masumi Hayami. Each of them have much to contribute to Glass Mask's story. I felt the characters were pretty strong to support the story as they played their appropriate roles. Maya Kitajima – There is no doubt that Maya is the undisputed underdog of the series. She can be considered queen of the downtrodden due to her upbringing. Maya is an undiscovered and talented young actress working hard to make ends meet with her mother Haru. Unfortunately, the relationship isn't great because Haru's mother is mentally unstable. Instead of giving Maya encouragement, Haru always puts her down. Due to be easily distracted at work, due to dreaming about being an actress, Maya is considered to be “useless” and “worthless” to her mother. However, she gets the lucky break when being discovered by Chigusa Tsukikage who was a major actress in her prime. Maya represents the “nature” side in regards to nature vs. artifice. Evolving as an actress, Maya wows people by actually being able to get into those roles. She doesn't just act like the character, Maya becomes the character. However, she does have her own fears and doubts when compared to Ayumi. When making comparisons to The Hero's Journey, Maya fits the role of the heroine perfectly. Ayumi Himakawa – Ayumi is the formidable rival to Maya who is older and more experienced; however, Ayumi has established a reputation as an actress. While being a rival, she is by no means an antagonist. She comes off as being either Lawful Neutral and Lawful Good. There is no arrogance to Ayumi as she has a strong code of honor. In short, she's pretty much a good sportsman when it comes to the world of acting. While favored by many, Ayumi isn't able to get the emotional peaks like Maya can. She's the embodiment of “artifice” in regards to nature vs. artifice. In short, Ayumi is the rival that already has the leg up. However, this is a rival that has a chip on her shoulder. Ayumi wants to prove she can be a successful actress in her own right without depending on the privileges of her parents. She is quite stern; but, it is necessary to show that the world of acting is no easy street. While Maya is talented naturally, Tsukikage shows that hard work and experience is also required. Masumi Hayami – Masumi plays the role of the “frienemy” in Glass Mask. Being a successful businessman in the world of entertainment, he plays a valuable role. He comes off as an antagonist to both Maya and Tsukikage due to him trying to get the rights to Crimson Goddess and doing whatever he takes. At the same time, he secretly plays the role of Maya's biggest fan. While Maya and Ayumi are in conflict with each other, Masumi is ultimately in conflict with himself. He represents the “Tests, Allies and Enemies” part in The Hero's Journey. I was satisfied with the characters in the story. Maya is a very appropriate hero for Glass Mask. Through the characters, Glass Mask shows that there are no tangible enemies. Most of the villains in the story are rather intangible. Glass Mask is a very endearing saga that gives the characters the respect that they deserve. Much care has been placed into the story while setting up a main objective and not serving it to either Maya or Ayumi let alone on a silver platter. It shows the tough road ahead for both Maya and Ayumi as they compete for the starring role of the legendary play the “Crimson Goddess.” You have a main story while weaving in conflicts and contrasts between the characters. If you are a fan of the performing arts, it is highly recommended that you check out this series. I am watching Glass Mask...so happy to hear that it's still on-going! 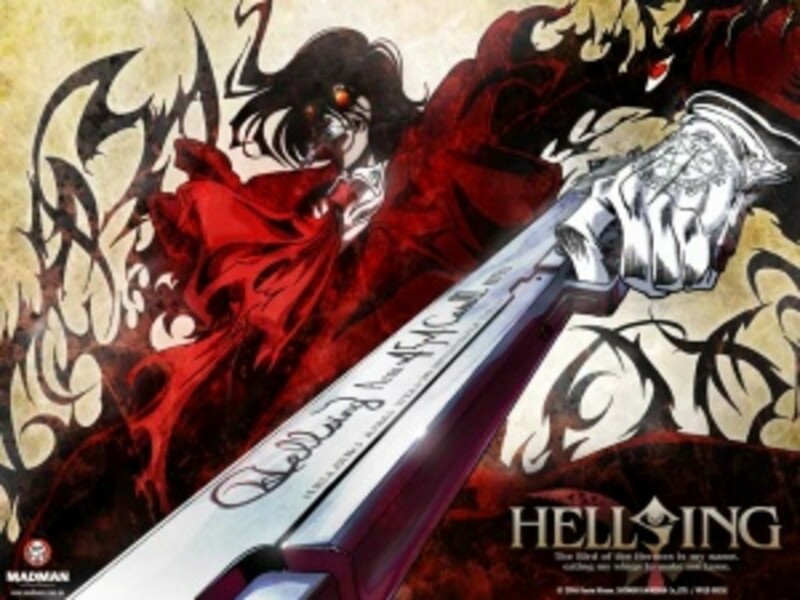 Very pleasant anime--not like so many other disturbing or overlly sweet or just terrible animes.